The new Mercedes-Benz C-Class Coupe is a beast on the asphalt, thanks to a 241 hp turbo-4 engine and 9-speed transmission that takes it from 0-60 MPH in a mere 5.9 seconds. But unlike most coupes, the C-Class isn’t just about speed—it’s about enhancing every aspect of your drive. Its stunning diamond-block grille and LED headlamps are sure to turn heads as you blaze past, and the available Head-Up Display puts all the information you need right where you need it, so you can keep your eyes on the road. Take a look at the beautiful new Mercedes-Benz C-Class Coupe models we have in stock! 4MATIC®: This intelligent all-wheel drive system delivers torque to the wheels that need it most, improving traction in inclement conditions. DYNAMIC SELECT: This system lets you customize your ride with five different modes that adjust performance accordingly, from the sheer thrill of Sport mode to the efficient cruising of ECO. 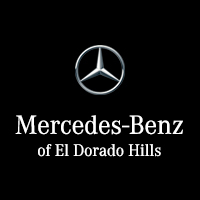 If you want to feel the sort of thrills that only a new Mercedes-Benz C-Class Coupe can provide, then come on out to Mercedes-Benz of El Dorado Hills. Our flexible financing options make it easy to get a payment plan, regardless of your credit background. And our friendly sales staff is always happy to help you through the process. So contact us online, and schedule a test drive today!